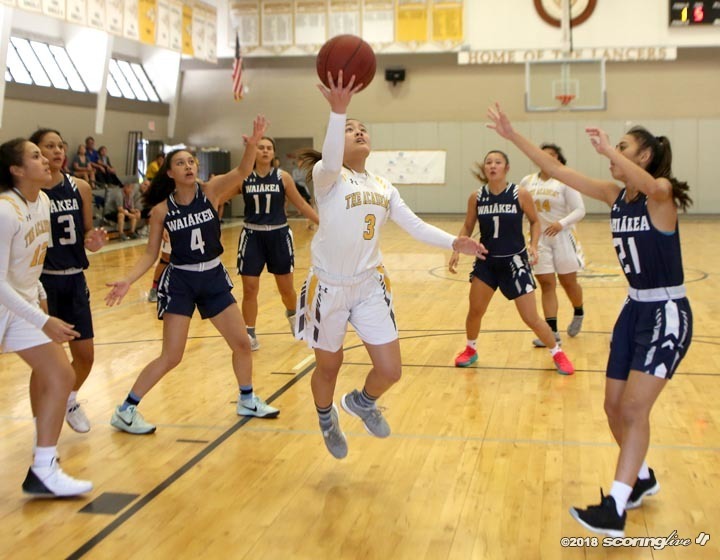 PALOLO — Perhaps a little more depth might be the difference for Waiakea when it begins Big Island Interscholastic Federation play on Monday. 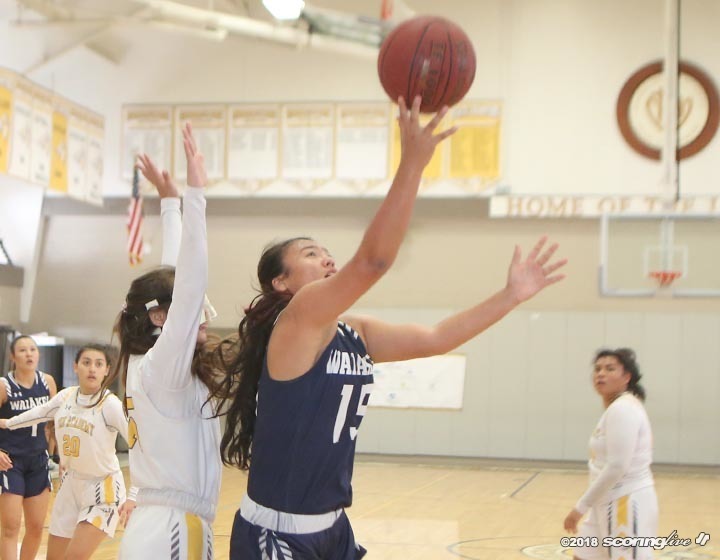 Junior Kelsie Imai and sophomore Jazelle Dorser combined for 33 points to lead the Warriors over host Sacred Hearts, 64-51, Saturday in the final game of The Invitational at the Lancers' gym. 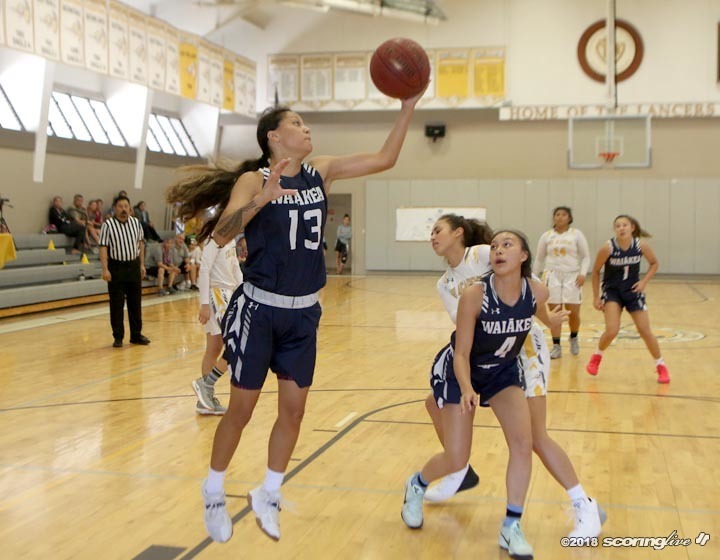 The game was technically not the championship of the three-day tournament sponsored by Sacred Hearts. 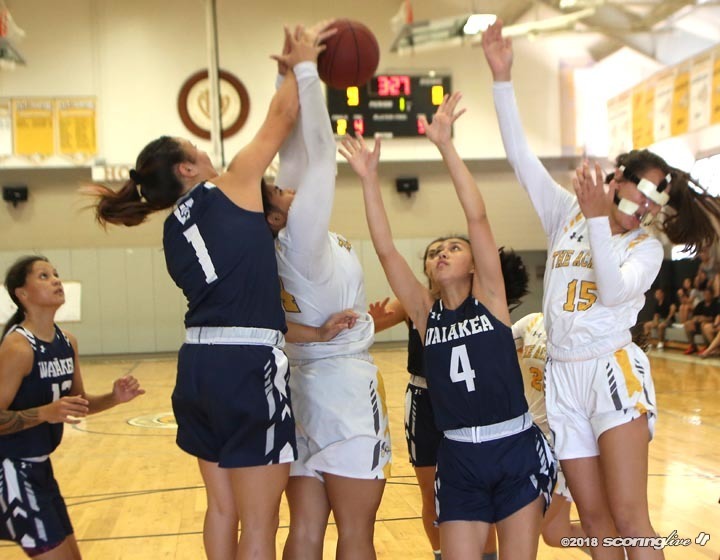 Although the Lancers advanced by winning their semifinal on Friday, the Warriors had lost to Iolani in the other semifinal. 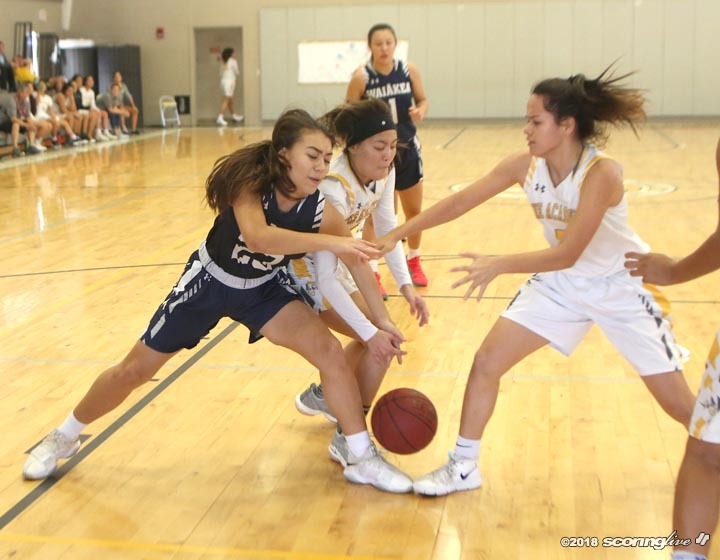 By mutual agreement, the Interscholastic League of Honolulu teams did not play each other in the final since they will play in season. 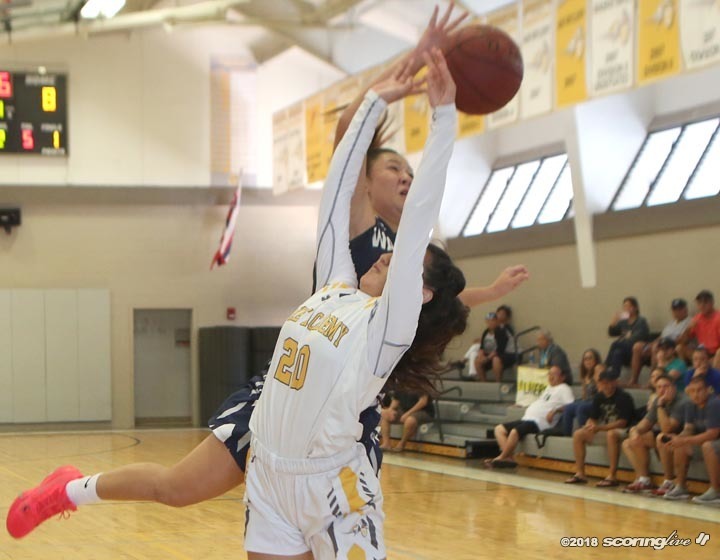 In fact, Iolani beat Sacred Hearts, 67-33, in a league game on Nov. 26, two days before the tournament started. They play agains Jan. 12. 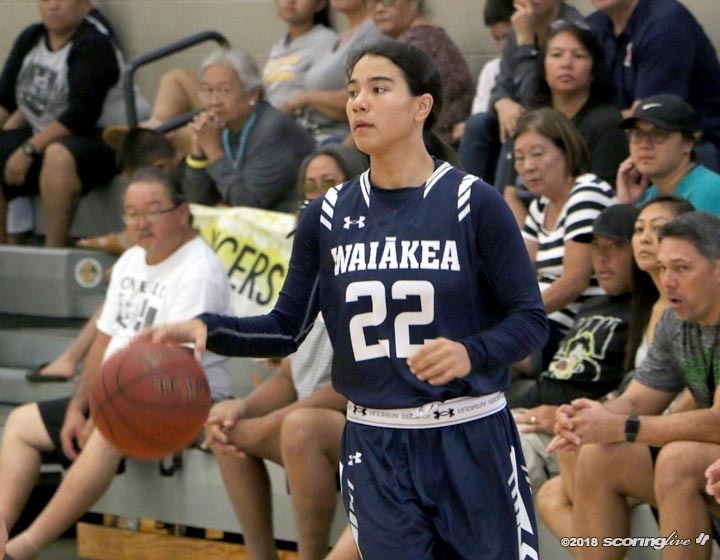 Imai, a third team All-Hawaii selection last season, had a game-high 18 points, while Dorser added 15 on 6-of-6 shooting, including a 3-pointer, from the field before fouling out with four minutes, 58 seconds left in the game. 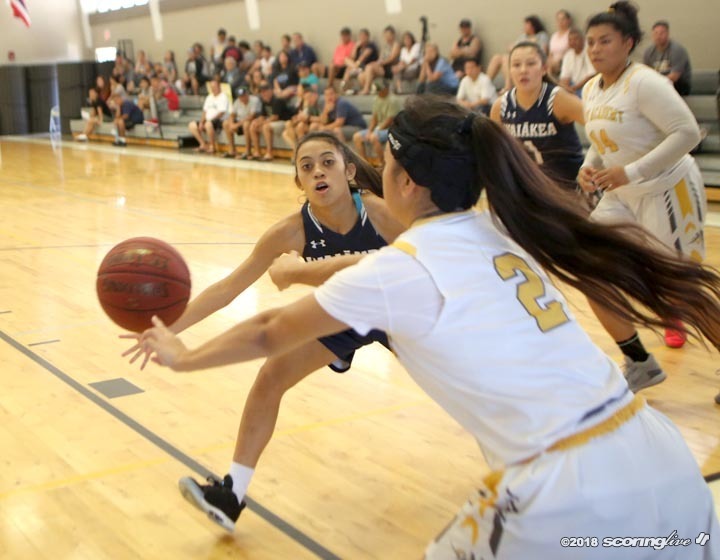 Waiakea coach Brandon Kauhi is expecting big things from the veteran and sophomore. 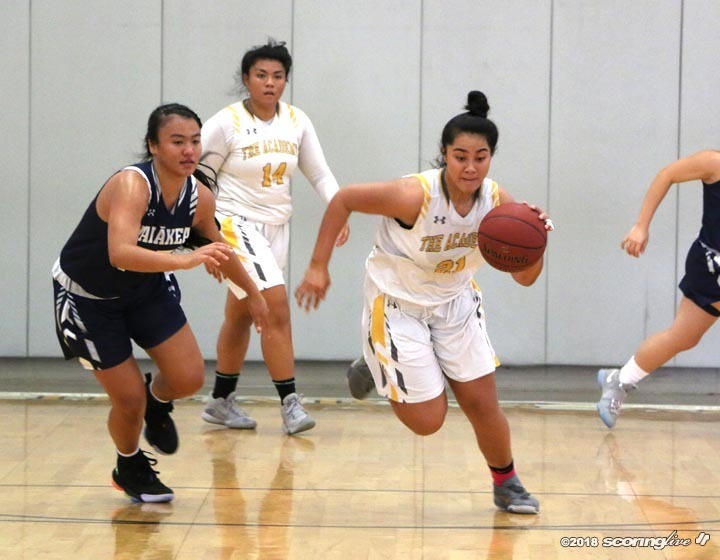 "We put the load on Kelsie; she carries the team," Kauhi said. "We want to scale back her (duties). 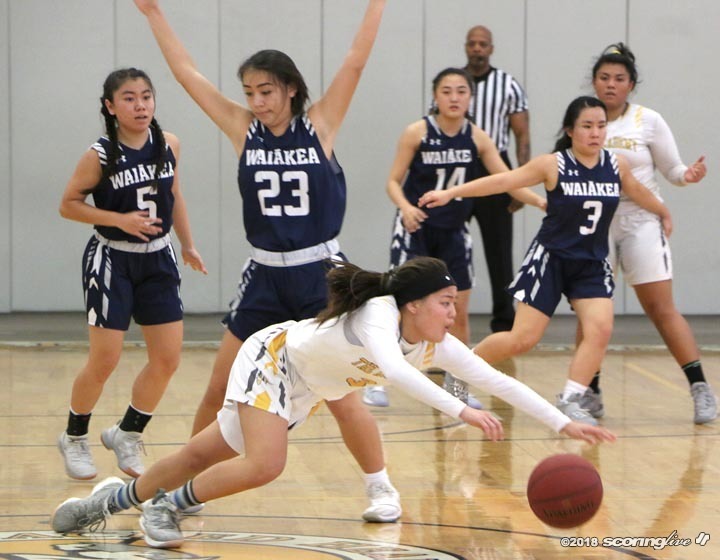 She works too hard as the point guard. 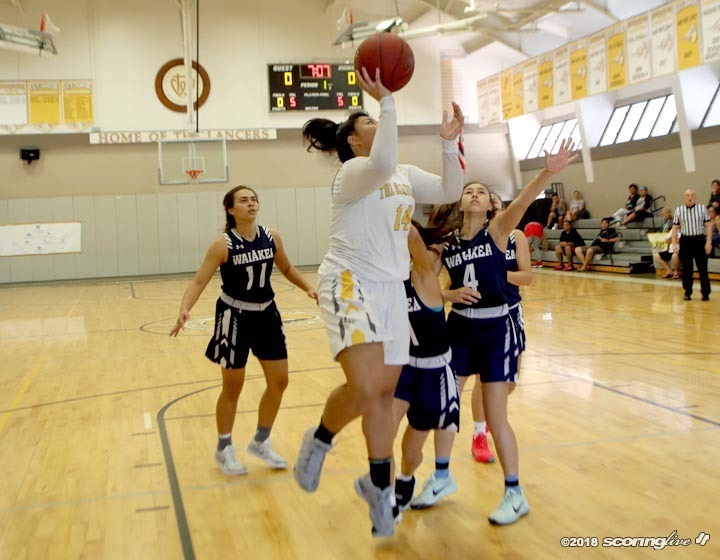 We put her on the wing some possessions having her just be a scorer. We depend on her for everything. 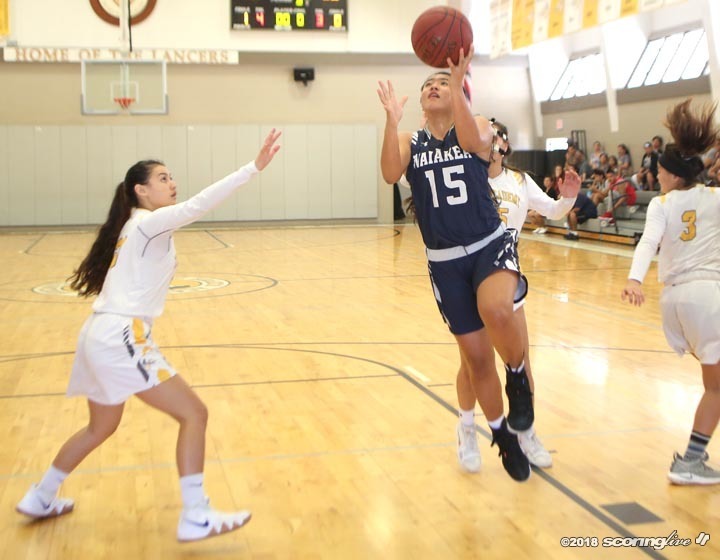 "Jazelle, we either start her or have her first off the bench. She's always looking to score. That's the great thing coming off the bench, bringing that fire. 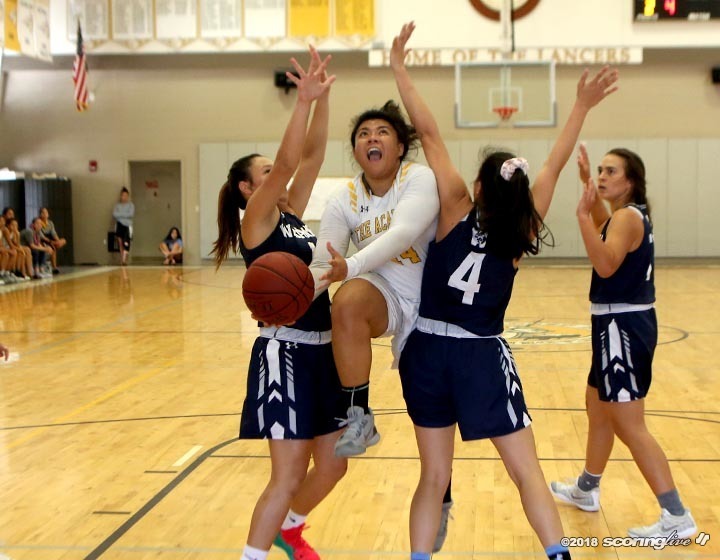 She's a joy to coach." Imai also likes the fire Dorser brings to the game. "It's great," Imai said. "If our starting five's not working, we have somebody who can come off fine. She wants to be in. She's hungry all the time." 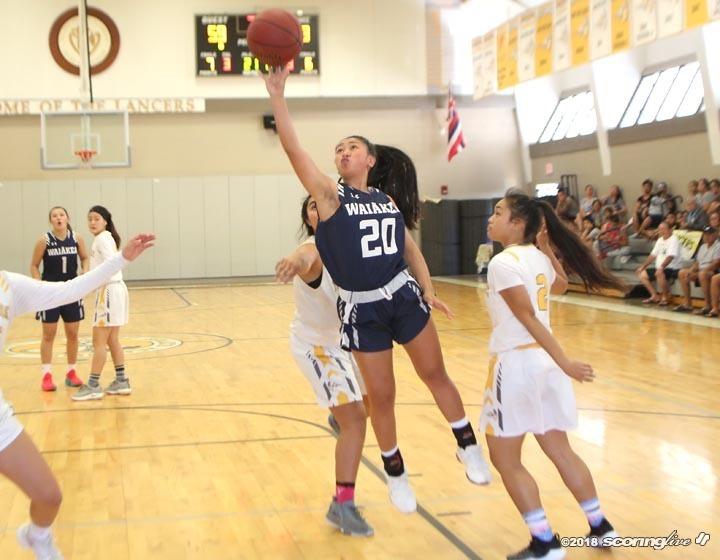 The Warriors (8-3), who open the BIIF season Monday against Honokaa, trailed 6-0 to the Lancers before using a 7-0 run to take the lead early. 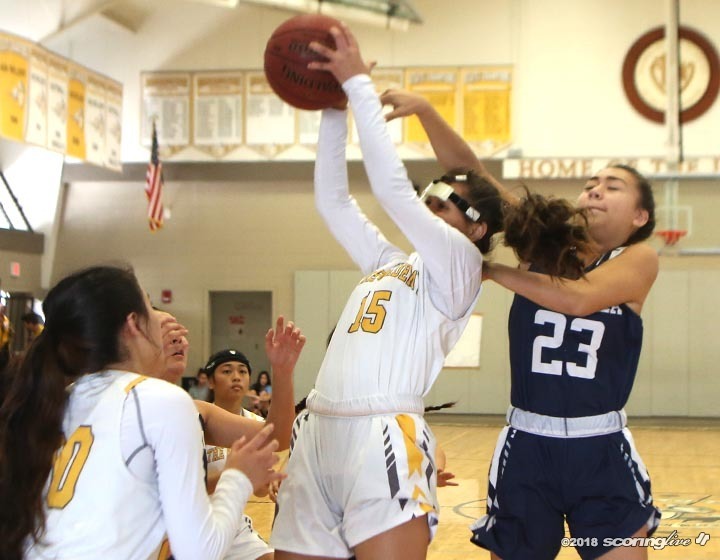 But leads changed three more times before Keighsha Walker's 3-pointer gave the Warriors a 14-12 lead which they.would not relinquish. 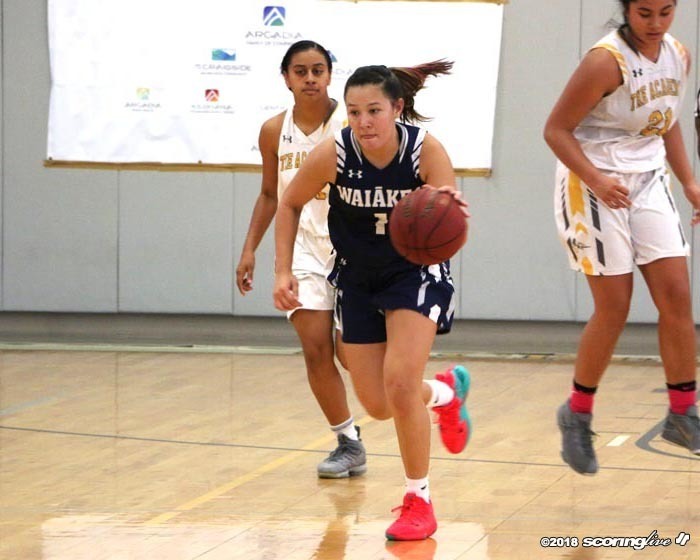 Waiakea used 6-0 and 7-0 runs to widen its lead in the second period in taking a 31-22 lead at the half. 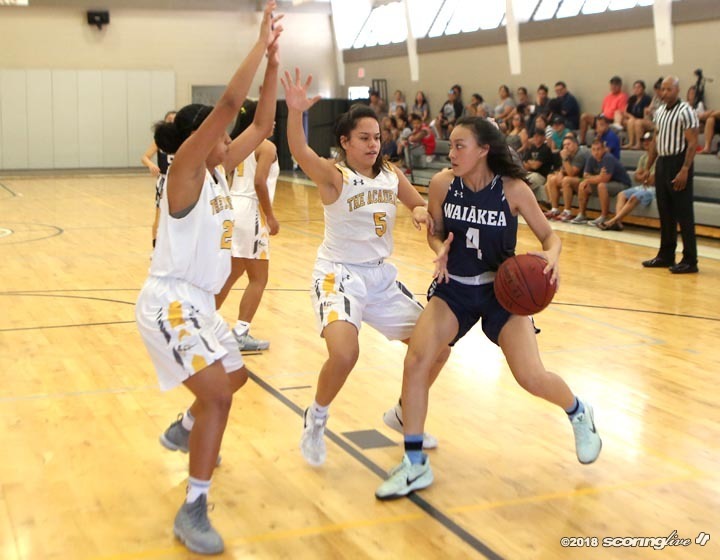 A 26-15 third period by Waiakea put more separation between the teams. 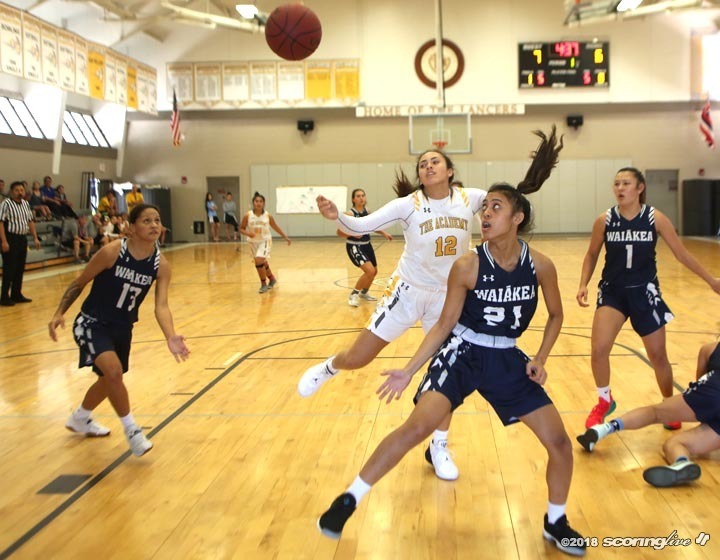 Sacred Hearts turned over the ball 24 times to Waiakea's 18. 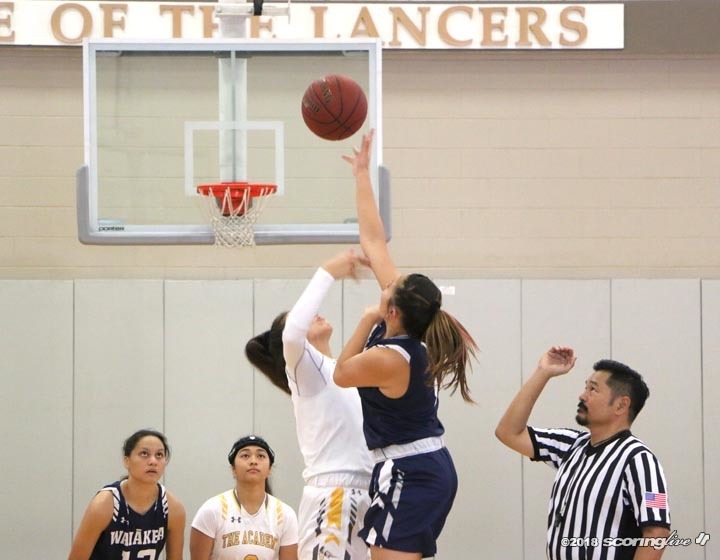 But the Lancers were a dismal and uncharacteristic 16 of 38 from the free-throw line. 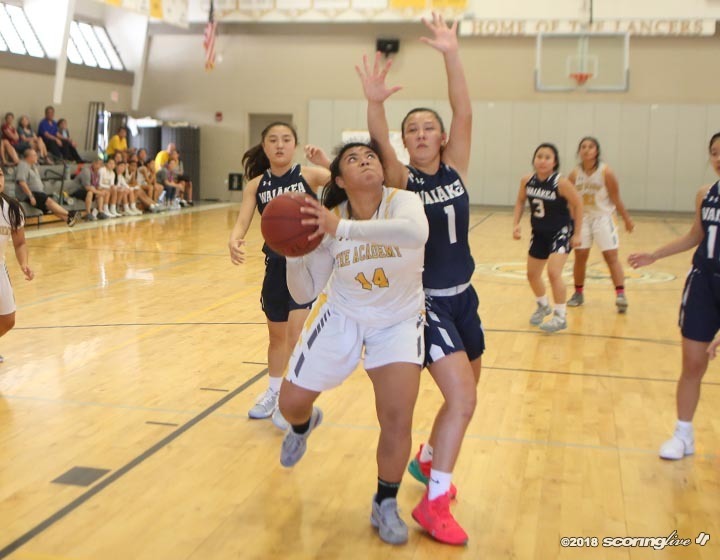 "We're actually a pretty good free-throw shooting team this year," SHA coach Richard Kasuya said. "We talked about that at halftime. If we just settle down, those shots would fall for us. It was a little important; we didn't shoot the ball well. 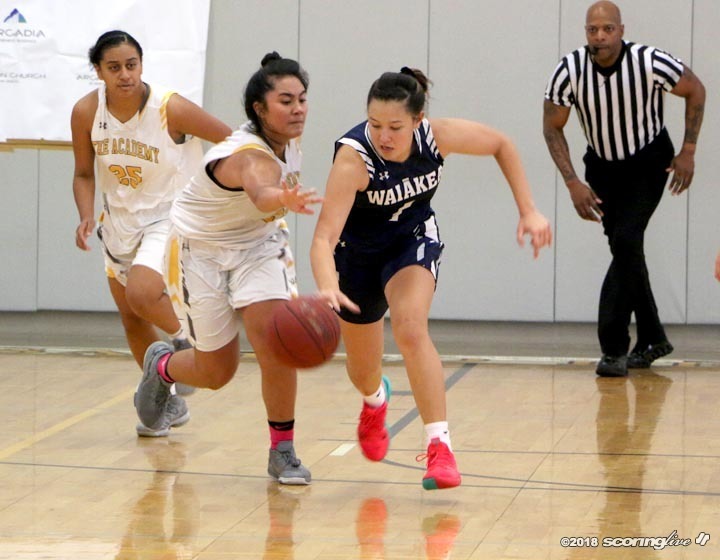 Part of it is the fact that Waiakea makes you play so fast. You get to the line, you're not quite in rhythm as much. So, again, we learned a lot." 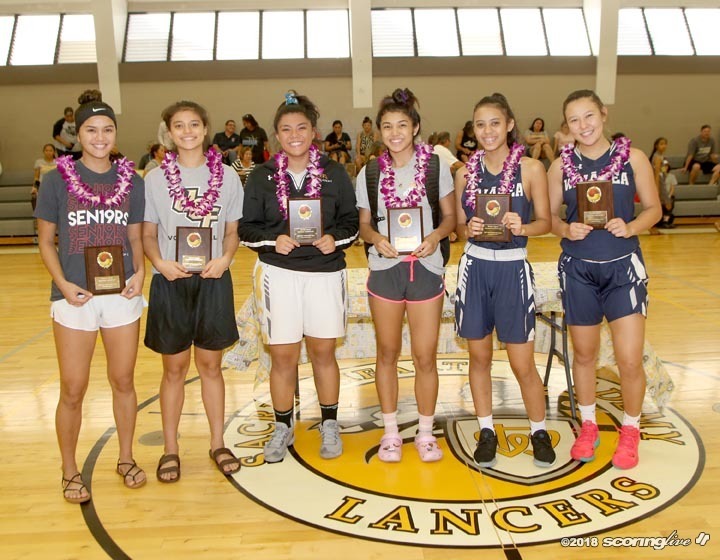 Dallas Martinez, Sade Mizusawa and Mahina Kaleiheana-Erickson each scored 10 points to lead the Lancers. 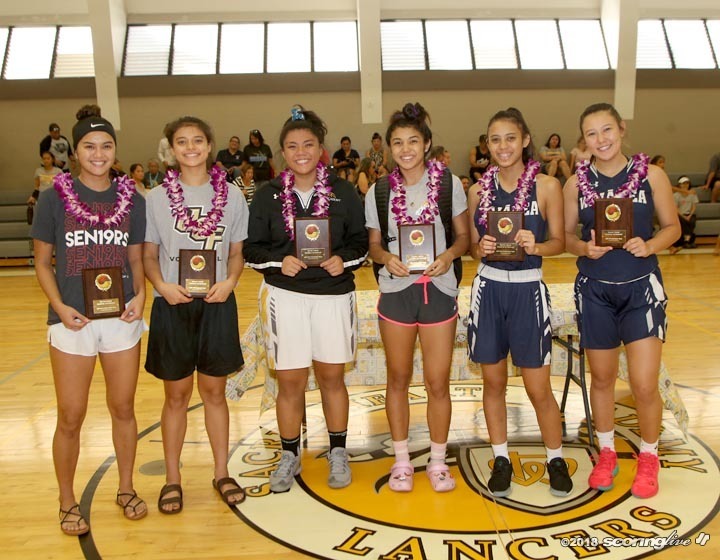 For the Warriors, it was a constructive trip to Oahu. 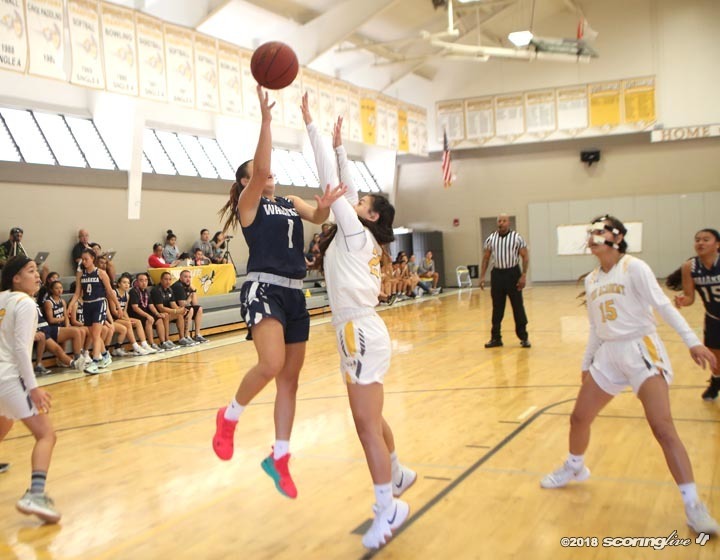 Besides playing the two ILH teams, they also played Kamehameha-Kapalama earlier in the Kaiser tournament, losing 64-51. 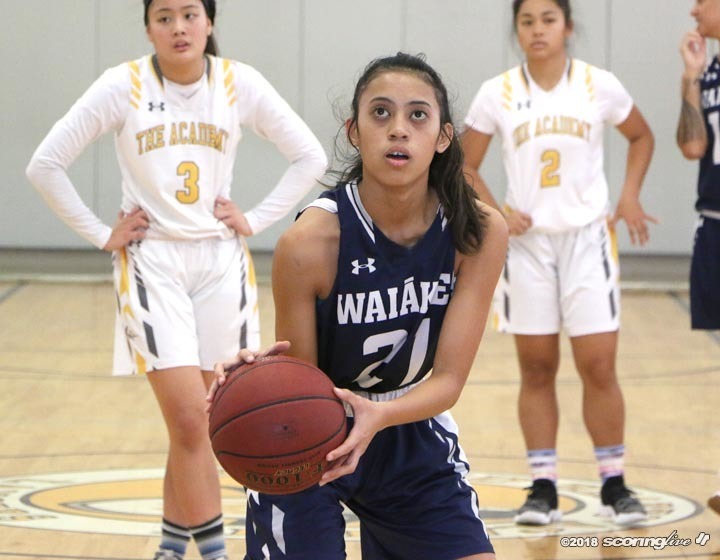 The competition should help the Warriors, who will be vying with Hilo and Konawaena for the BIIF title. 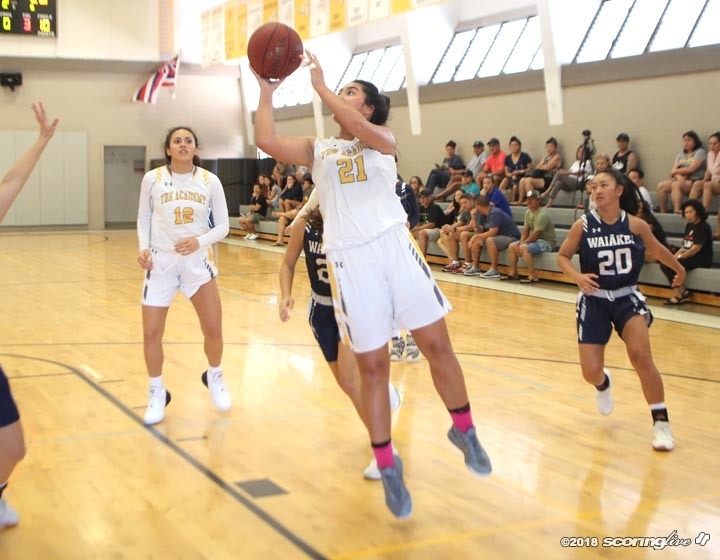 "We got to play good competition, of course, with Iolani and Sacred Hearts from the ILH," Kauhi said. "That's why we come up here, to be challenged, We have a lot to work on, lot of corrections need to be made." 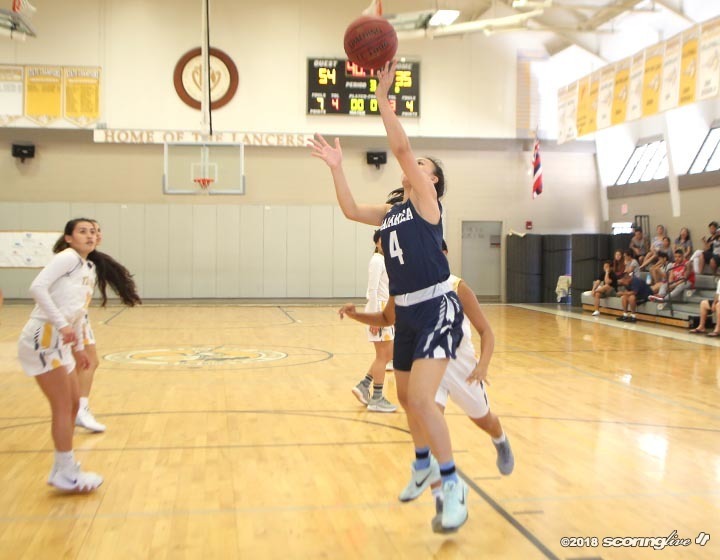 For the Lancers, it is back to the ILH D1 grind. 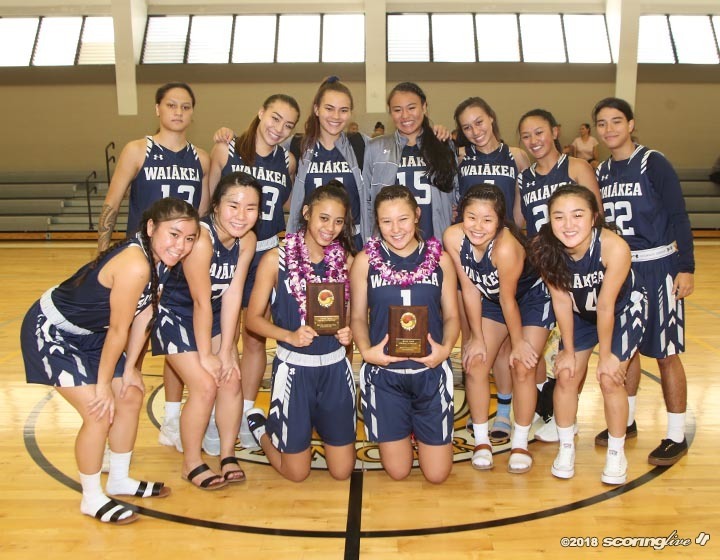 They will play at Punahou on Tuesday and host Mid-Pacific next Saturday. 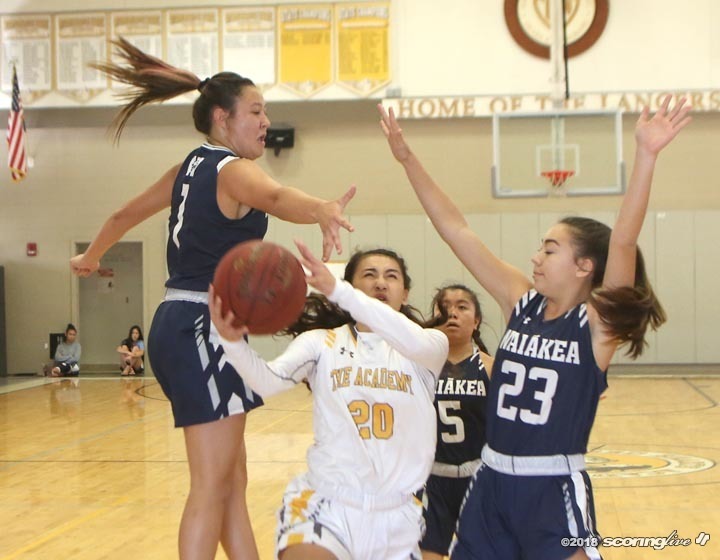 "We wanted to give a good showing, that's always a goal," Kasuya said. 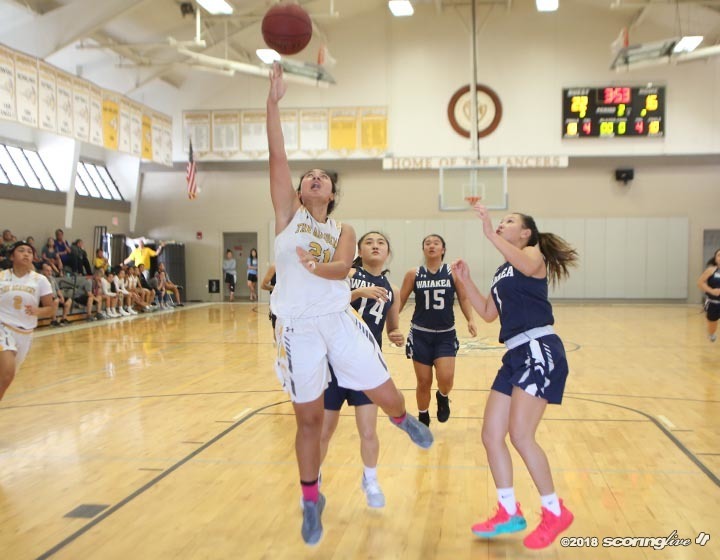 "I think getting to the championship game, this field was a very good thing for us. It's a strong statement for our program. It's growing in the way that wanted to. 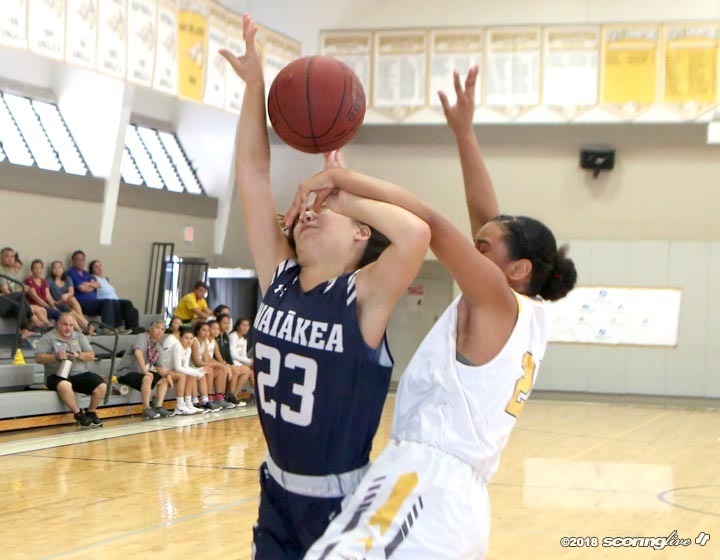 I wished we played a little bit better tonight, but we ran into an excellent team in Waiakea. They taught us a lot about ourselves."